OneUp claims they created the best feeling bar available, something that lets riders go harder for longer. How is this so? The idea is a patent-pending oval bar profile, which combines the best ride characteristics of 31.8mm and 35mm diameter handlebar standards. The result is a very strong, comfortable, lightweight bar that minimizes arm pump and vibration and maximizes steering response. OneUp takes advantage of the moldable features of carbon and went for more complex shapes to get a better performing product. 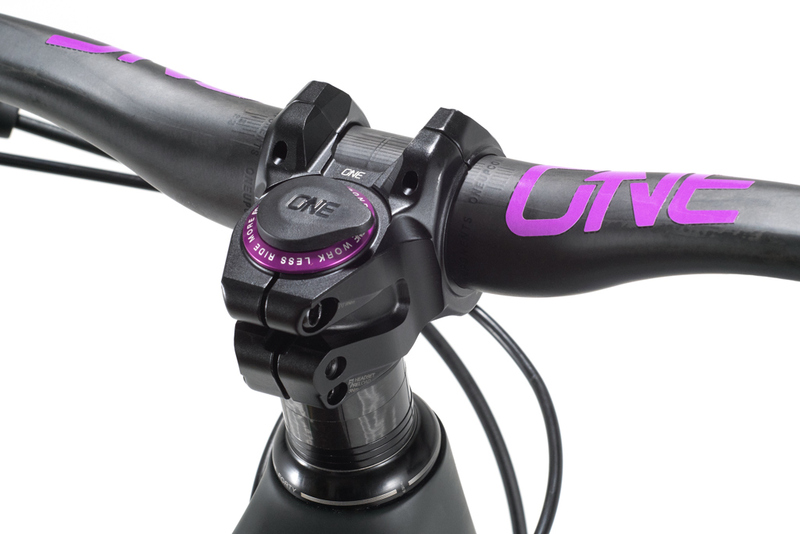 OneUp feels that the ovalized bar design offers compliance and ease for tired hand and upper body on the trails. 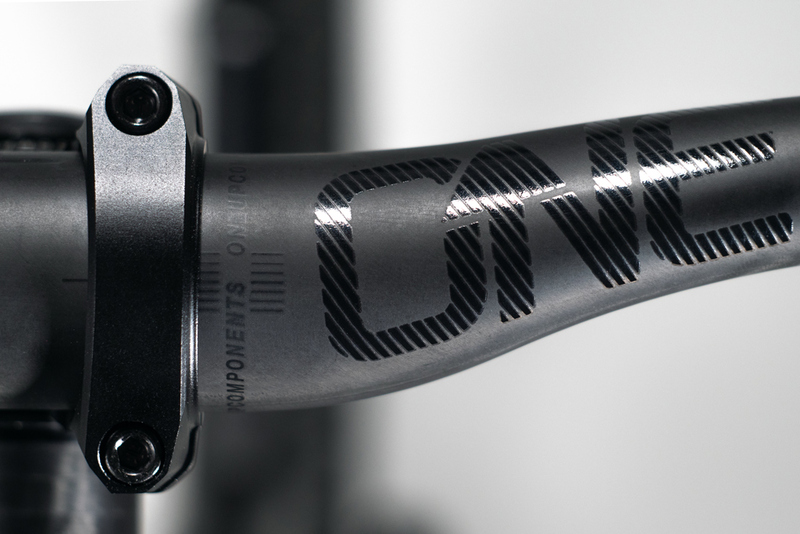 Close up with the new OneUp carbon bars and its patent-pending oval bar profile. 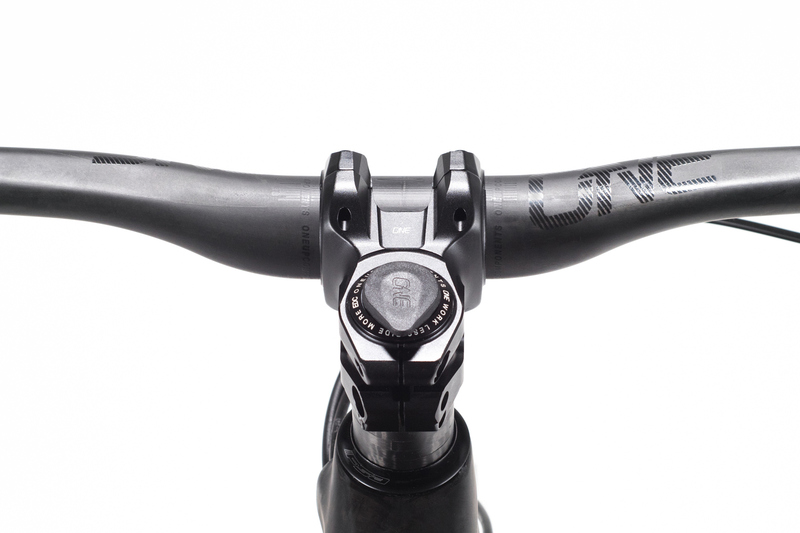 The new OneUp carbon bars have a unique ovalized stem that offers compliance to the rider. OneUp benchmarked its new bar against the most popular carbon bars on the market as well as foam-filled aluminum bars. The results were, on average, a 21% increase in vertical compliance (comfort) coupled with a 28% increase in steering stiffness (responsiveness). 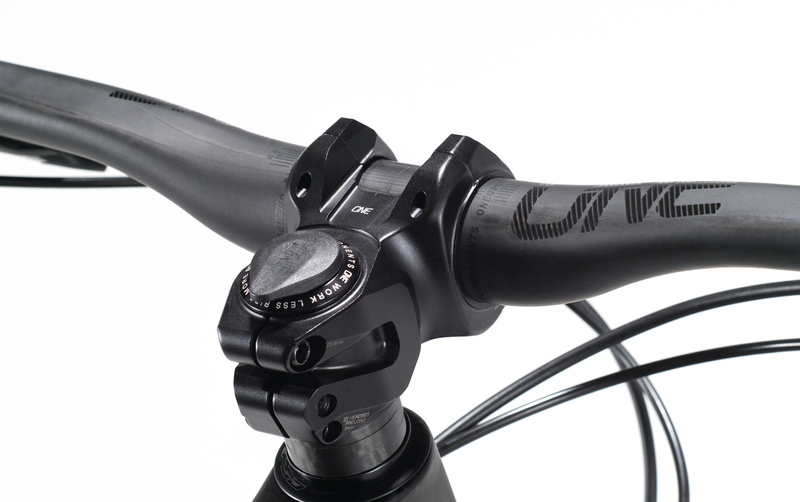 The new EDC Stem allows riders to make preload adjustments on the fly and a rubber grommet keep out the elements. OneUp offers colors to match all the different color schemes in the industry. The OneUp EDC Stem allows riders to store their EDC Tool in the steerer tube, without threading the fork. 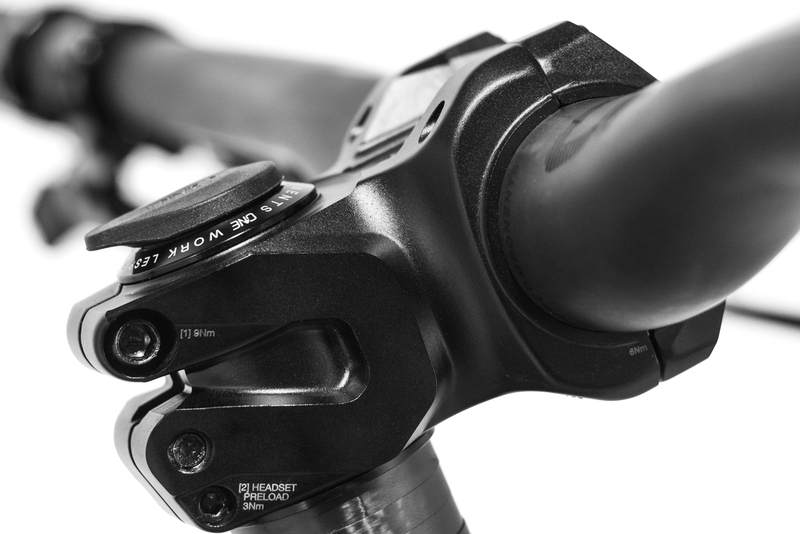 You can also adjust your headset preload without loosening your stem. 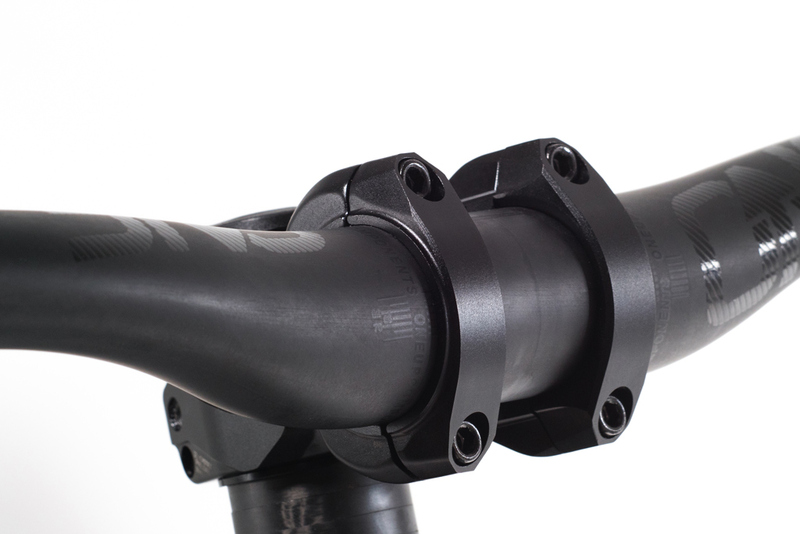 The EDC Stem can be used with a regular star nut and top cap like a conventional stem. It’s also compatible with existing threaded EDC top caps, for people who’ve already threaded their steerer tube. Or you can use the new OneUp Preloader, which lets you store the EDC tool in your steerer without threading it. – Check out the video for details and instructions. The OneUp lock on grip has a sawtooth design and an added pressure release for the palm. The grips, bar, and EDC stem from OneUp are easy to color coordinate. 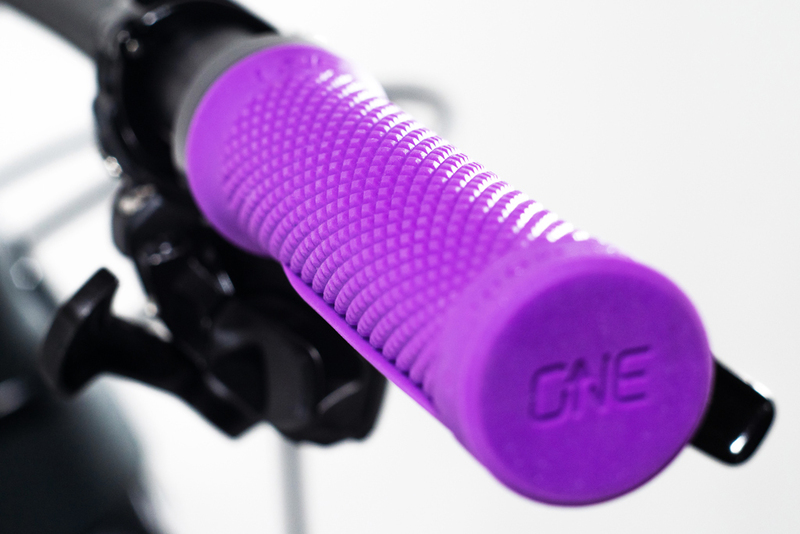 The OneUp grip is a low profile single lock on, designed to reduce arm pump and hand numbness. The Diamond knurled texture, have sawtooth finger ramps and a tacky 20A compound to provide solid traction. The single lock has the profile of most of the popular double lock-on grips available, but to reduce hand numbness OneUp replaced the hard outer clamp with extra rubber for greater cushioning of your palm heel. OneUps oval-clam carbon bar is ready to give your hands and arms a break.